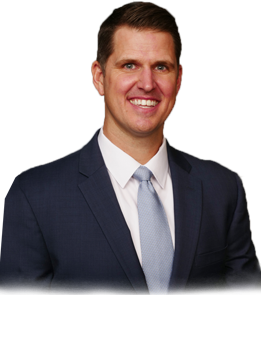 Dr. Byington treats all conditions of the knee, including joint pain, arthritis, ligament injuries, cartilage damage and joint instability. He has comprehensive training in joint reconstruction, meniscus repairs, ligament reconstruction, cartilage restoration, patella instability procedures, partial and total joint replacement, as well as revision surgery. 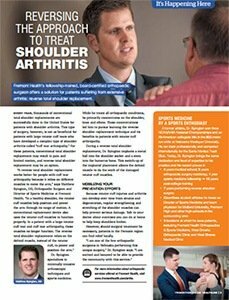 Understanding the signs and symptoms of knee and shoulder injury, possible causes of pain, and possible treatment options. 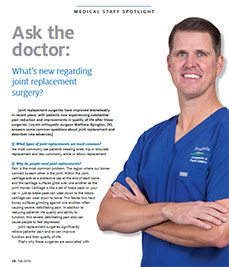 Fremont Health’s fellowship-trained, board-certified orthopaedic surgeon offers a solution for patients suffering from extensive arthritis: reverse total shoulder replacement.